Gato will remind you why Bobby Flay became famous in the first place - because he can cook. Gato was an outstanding experience. Our server, Cory, knew the menu so well and was able to answer every question we had. The food was all cooked perfectly. Save room for dessert! 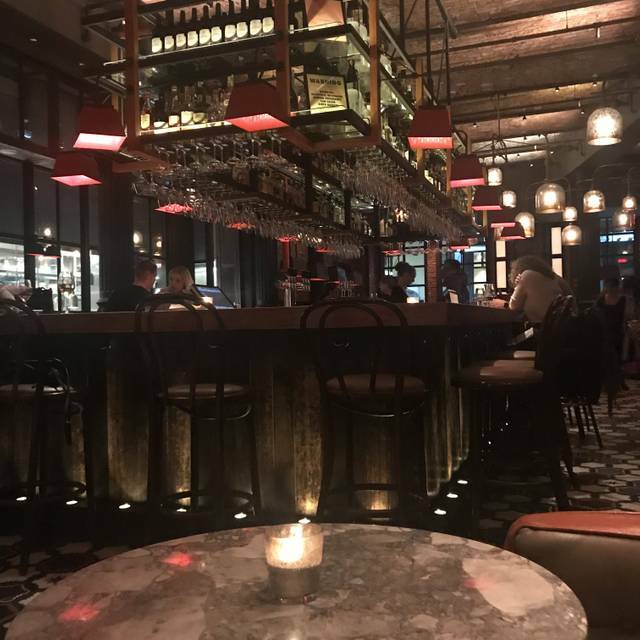 Great ambiance, food, and service! A must visit while in NYC. Great food and service. No complain at all. Extremely positive. Good was second to none! Amazing food! Amazing Service! Corey was so knowledgeable of the menu, excellent recommendations and unbelievable service. Thank you for making our evening delicious and memorable. This was our first time having brunch at Gato, usually it's just dinner. While it was good, I would not call it exceptional for the price point. I would stick with having dinner here in the future. The service, as always, was stellar though! 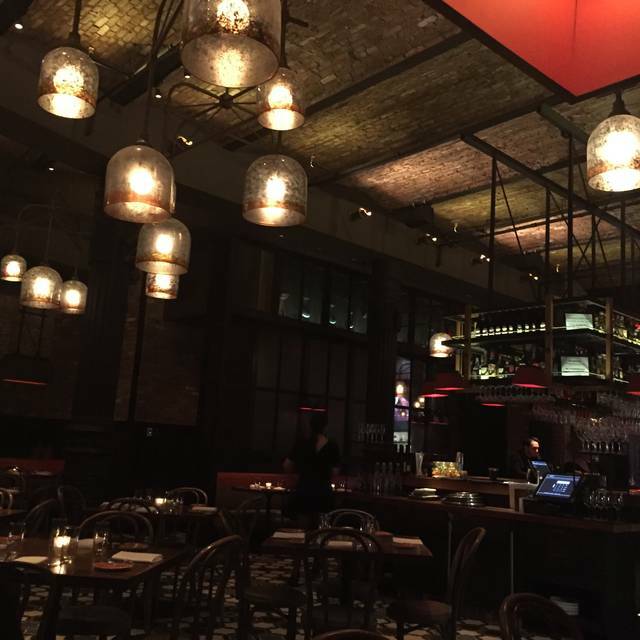 My husband and I wanted to experience brunch at a Bobby Flay restaurant and visited Gato this past Sunday. Service was remarkably warm and excellent, and the vibe of the place is comfortable and cool. 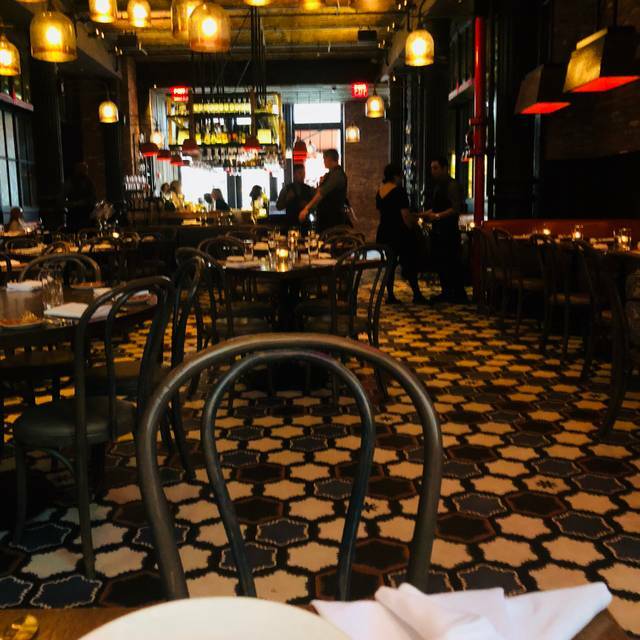 A good spot pre-theatre, with friends for an upscale meal or for a family celebration. Equally good for groups and couples. The food was good, as expected. I was a bit disappointed with the small portion of the entrees. I had the charred beef for $28 which was 2 slices of beef and 1/2 cup of soft scrambled egg. My husband ordered the baked eggs which came in a very shallow ramekin. We ordered potatoes and bacon ($9 each) to supplement as sides. The cocktails were good, not spectacular, cost $14 each and the tumbler was 75% ice. So, $14 for a perhaps 3 ounce cocktail which wasn't special enough to be worth the price. Overall, I was happy that we went to experience the restaurant. We enjoyed the food but didn't find it special enough to visit there again. 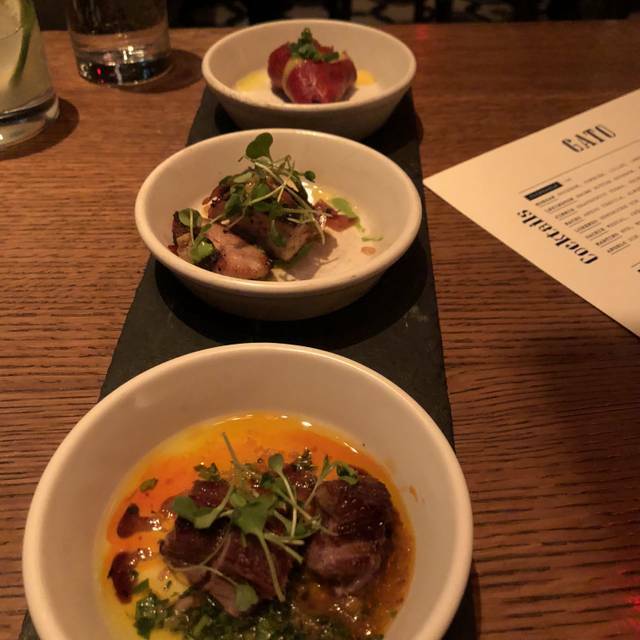 This was my second visit to Gato. 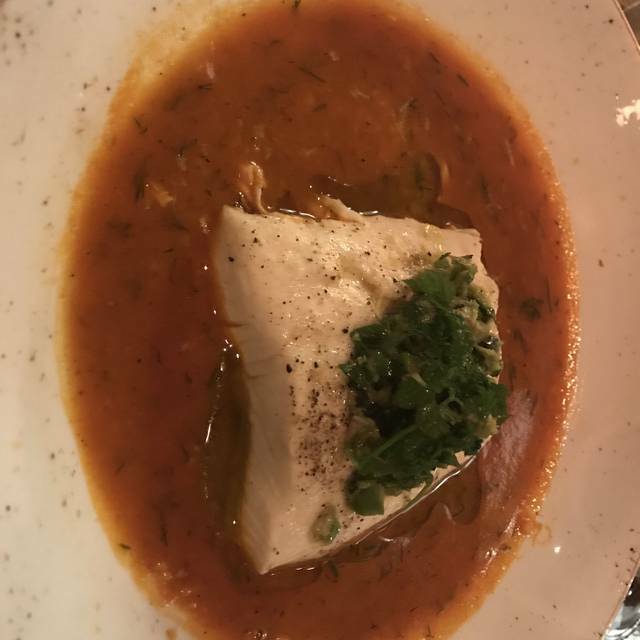 The previous time was for a NYE dinner in 2017 and I have to say I thought this most recent visit wasnt as good. I might have built it up a bit in my memory, but I just thought the flavors weren't as punchy this time around. Also our waiter brought out small glasses of sherry for everyone and said they were complimentary because it was my birthday, but I remembering receiving them comp the last visit as well so not sure how special that move really is. A friend of mine is sober and did not order any alcohol during the whole dinner, and when they brought out the sherry he gave her a glass and that bothered me a bit. Just wish he had took notice to the fact that she wasnt drinking alcohol and offered her something else that wasn't alcoholic. I love Gato and brought my friends for a Saturday night meal to celebrate one of them getting engaged. The bar staff helped me pre-pay for the bottle of champagne and had it brought to the table when we were seated. As I’ve been here many times, I can say that occasionally the food is better and occasionally it is less spectacular. I felt like this meal was a little less spectacular although still very good. Maybe everything sat waiting to be brought out, I’m not sure, but I don’t ever remember the crispy potatoes having egg whites on them (an egg yes, but it looked like a cooked egg white was thrown on and didn’t add much flavor). We ordered one of the pizzas (I wouldn’t bother again) and a lot of the shareable dips, but honestly I’d skip those next time. The ricotta was my favorite of the bunch. The scrambled eggs were delicious, as were the carrots, and the paella is always a good choice for yourself or to share. Delicious food! Best octopus I’ve ever had. The grain salad with the rabbit was also noteworthy. Restaurant was a bit dark, but food was incredible. Great ambiance, fun atmosphere. My husband loved his burger, but not a lot of gluten free options for me as I have Celiac. We had to wait 30 min for a table for an 830 reservation. Sasha the hostess was very nice and we received a comp app for waiting. Food was amazing. Friendly service that allows you to savor the varied tastes on the menu. Bar trios are a great entry into a diverse and layered menu. The eggplant appetizer has a complex flavor profile that will leave you wanting more. The paella was ordered by every table within vision, and everyone raved about elevating such a seemingly simple dish to a new standard! Worth visiting.....more than once! In my humble opinion, they need to get some sound attenuation work done in the ceiling. Brick ceilings. It was very loud early on but then as the crowd thinned, it was a bit better but one had to speak loudly. Fabulous experience all around! Food and service top notch! Jorge really took care of us. Highly recommend! Food was great. Service was outstanding! Would return for sure. Need more light in the washrooms. We had a wonderful time! The restaurant was quiet, wait staff were attentive & friendly but not intrusive. And the food was FABULOUS! We had a lovely Sunday brunch here. 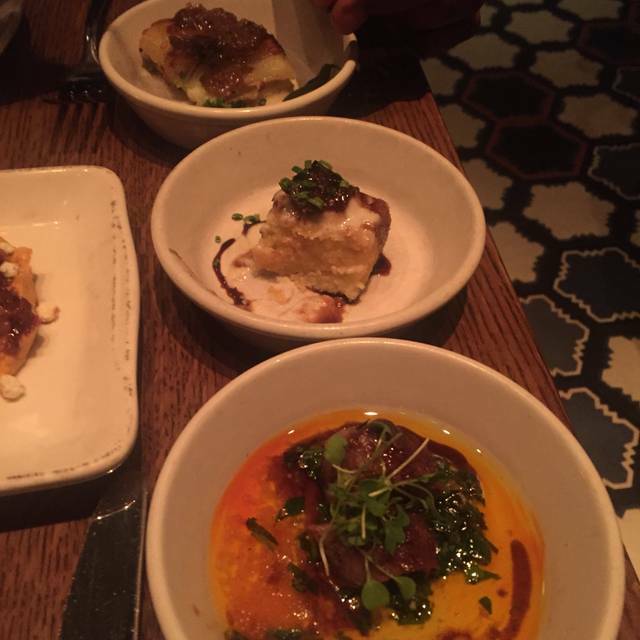 The food was amazing, the ambience fun, and the service impeccable. Highly recommend! Portion really small and ordinary for the price. The experience was beautiful, the food was exceptional. One thing would have made it better....to have seen and taken a picture with Bobby Flay! Both meals here were totally delicious, and both times the table service was perfection. We went to celebrate a job promotion based on a recommendation. I’m annoyed I cannot remember our waiters name because he was phenomenal. He was the experience. The food was delicious. All of the flavors incorporated into the meals had us drooling - we couldn’t pick a favorite. Would absolutely go back. 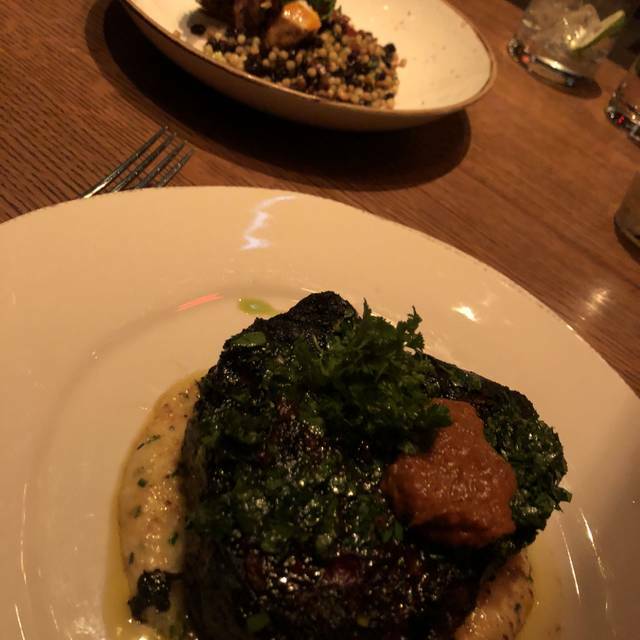 Ambiance is wonderful but the service and quality of food was pretty awful, considering the prices and the fact that this restaurant is attached to Bobby Flay. Flavor was mediocre and the steak, supposedly their most popular dish, was almost too tough to eat. Service is a place any restaurant can knock out of the park but this place felt like any other moody diner in NYC. Pretty disappointed we wasted our anniversary at this place. Excellent food, best octopus we have had and we have eaten it at numerous fine restaurants. Seating is a little congested but everything else was great. Service could be improved - server seemed annoyed a bit when questioned about options although he claims he was there to answer any questions we might have. Best food I've ever eaten in my life! Must go there. Sat on the front couches and had drinks and dinner. The crispy potatoes were the best! As usual the service was fantastic. The food was great but the Acorn Squash wasn’t as good as everything else (reason for the 4 stars on food). The Espresso Soaked Bread Pudding was delicious. 3rd time coming here and the food and service don’t disappoint. As you know great kale and mushroom paella ..
Dinner at Gato exceeded all expectations. 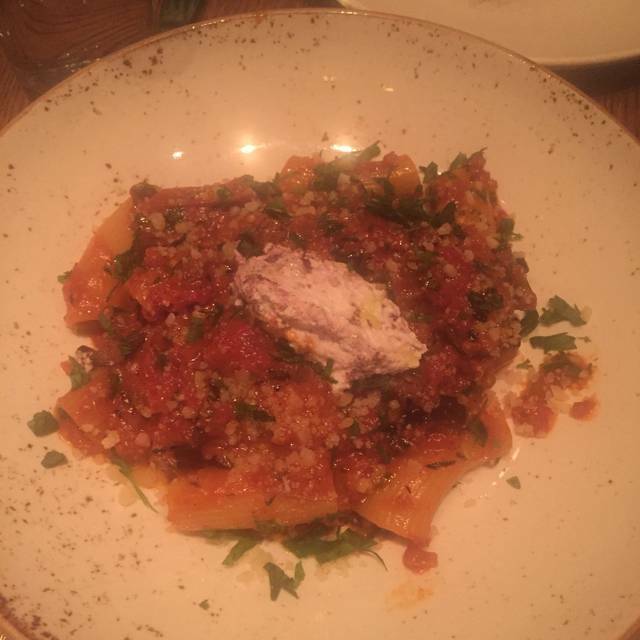 The food and flavors were phenomenal and the service and atmosphere were perfect for a night out! 100% would return and recommend!